Classic Distal RTA: Of Mice and Men. Inherited forms of distal renal tubular acidosis (dRTA) have been linked to mutations in the human gene encoding the AE1 Cl−/HCO3− exchanger (SLC4A1). A mouse knockout model lacking AE1 (slc4a1−/−) described by Stehberger et al. has autosomal recessive classical dRTA with hyperchloremic metabolic acidosis, low net acid excretion, and inappropriately alkaline urine without bicarbonaturia. Basolateral Cl−/HCO3− exchange activity in acid-secretory intercalated cells of isolated perfused slc4a1−/− cortical collecting duct was reduced, but alternate bicarbonate transport pathway(s) were upregulated. The heterozygote mice (slc4a1−/+) had no apparent defect in acidification, whereas the homozygous mice had dRTA and nephrocalcinosis associated with hypercalciuria, hyperphosphaturia, and hypocitraturia. The slc4a1−/− mouse is the first genetic model of complete dRTA and demonstrates that the AE1 Cl−/HCO3− exchanger is required for maintenance of normal acid–base homeostasis with distal renal regeneration of bicarbonate as a critical part of net acid excretion in the mouse as well as humans. See Stehberger et al., pages 1408–1418. 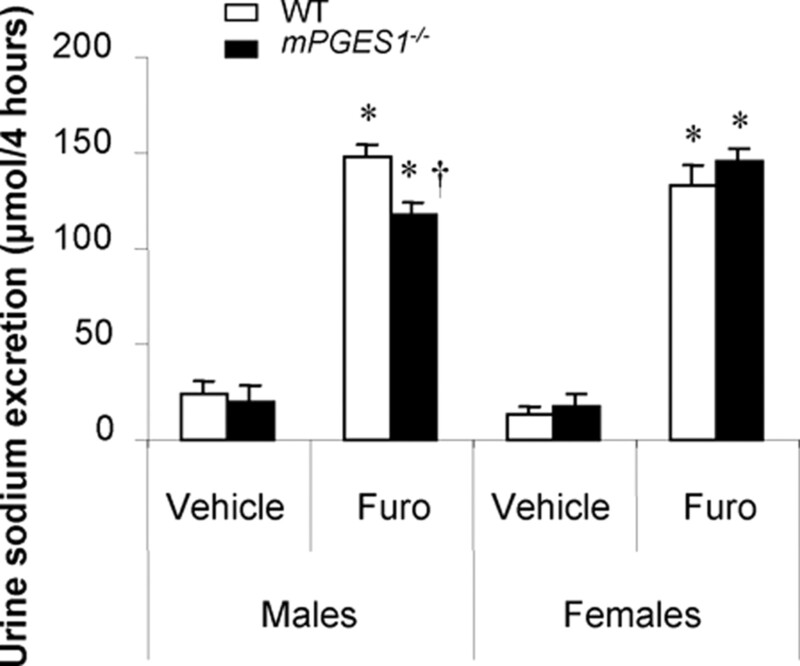 mPGES1, a New Player in the Renal Prostaglandin Story with Unique Gender Specificity. Prostaglandins are recognized as important modulators of renal hemodynamics and salt and water balance, but the relative roles of individual prostaglandin types in these physiologic responses remain controversial. Although cyclooxygenase is the rate-limiting enzyme involved in producing PGH2, the common prostaglandin precursor, specific synthetases synthesize the individual prostaglandin types. For PGE2 synthesis, mPGES1 has gained attention because it is responsible for the late phase of PGE2 synthesis during inflammation and is linked to cyclooxygenase-2 expression. However, in the kidney mPGES1 is also expressed constitutively in nephron segments that express high levels of cyclooxygenase-1. Utilizing mPGES1-deficient mice, Francois et al. now report an important role for mPGES1 in basal renal PGE2 synthesis but surprising gender-linked differences in the relative roles of mPGES1 and PGE2 to mediate kidney function. See Francois et al., pages 1466–1475. The Permeability Factor in Minimal Change—Have We Finally Found It? The concept that minimal change nephrotic syndrome (MCNS) is caused by a circulating lymphocyte-derived permeability factor acting on glomerular podocytes has been prevalent since it was first proposed by Shalhoub in 1974, but verification of his hypothesis and identification of the factor have been extremely elusive. 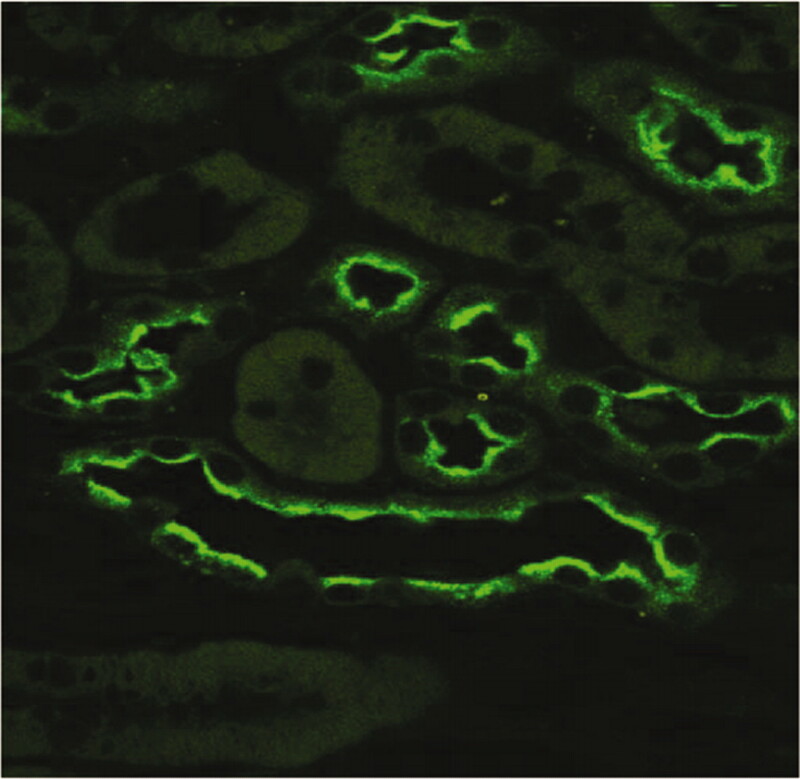 In this study, IL13 transfection in rats produced clinical manifestations of nephrotic syndrome with normal glomerular histology, downregulation of some podocyte-specific proteins, and foot process effacement by electron microscopy, which are all features that mimic MCNS. Although proteinuria in transfected animals was modest and circulating IL 13 was elevated almost 100-fold, the model described is exciting and represents the closest anyone has come yet to reproducing MCNS with an endogenous factor in an animal model. More studies will be necessary to determine whether IL13 is elevated and has similar effects in man, but the potential of this paper to advance an area in which progress has been disappointing seems very high. See Lai et al., pages 1476–1485. Further Support for the Albuminuria Hypothesis. This report by de Zeeuw et al. of a post hoc analysis of the Reduction of Endpoints in NIDDM with the Angiotensin II Antagonist Losartan (RENAAL) studies addresses an increasingly important issue in the management of albuminuric chronic kidney disease. 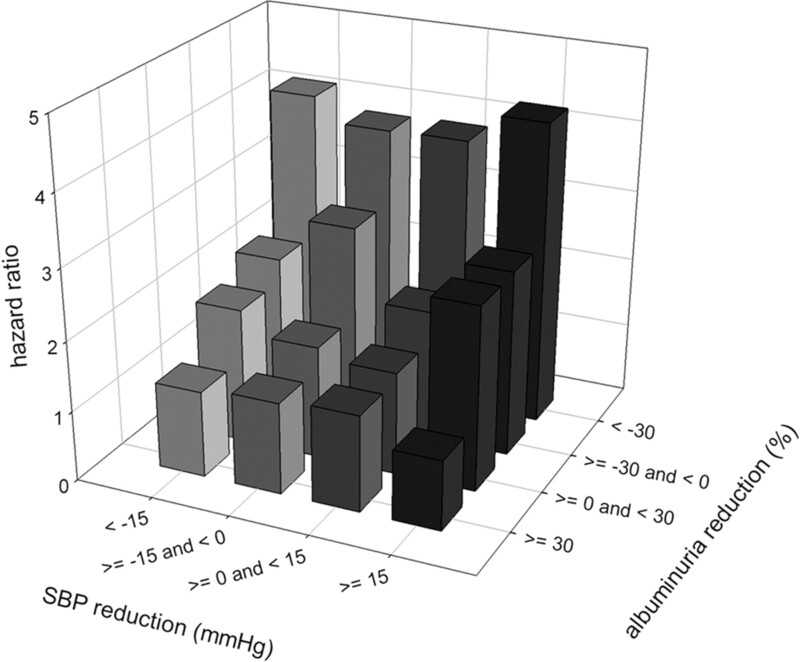 The authors have examined the joint and independent contributions of reduction of blood pressure and albuminuria in the risk of progression to ESRD. They report that reductions in albuminuria and sytolic BP (SBP) were independent predictors for ESRD and that no interaction between the two treatment effects was observed. Finally, in adjusted analyses the reduction of SBP was no longer significantly associated with risk after adjusting for other risk factors. These observations, in concert with other analyses that support proteinuria or albuminuria reduction as a therapeutic target, are as yet insufficient evidence to recommend changes in the management of chronic kidney disease patients with proteinuria. Until such evidence is forthcoming, we should proceed with caution when treating proteinuria in patients who have achieved target BP of 130/80 mmHg. See Eijkelkamp et al., pages 1540–1546. 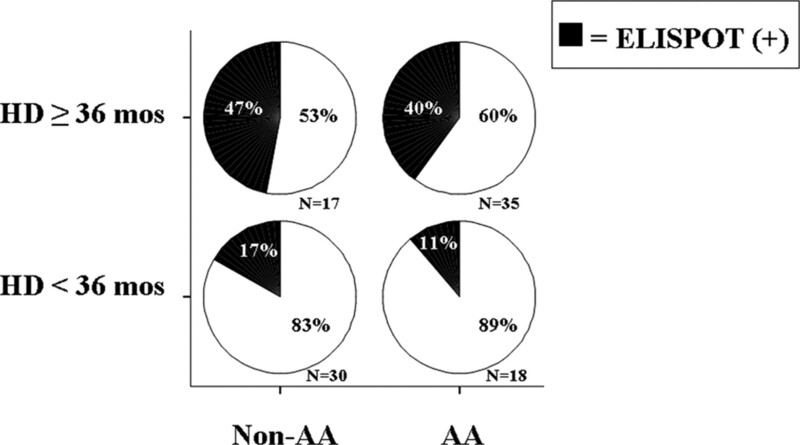 Mutations of Nephronophthisis Genes in Joubert Syndrome. 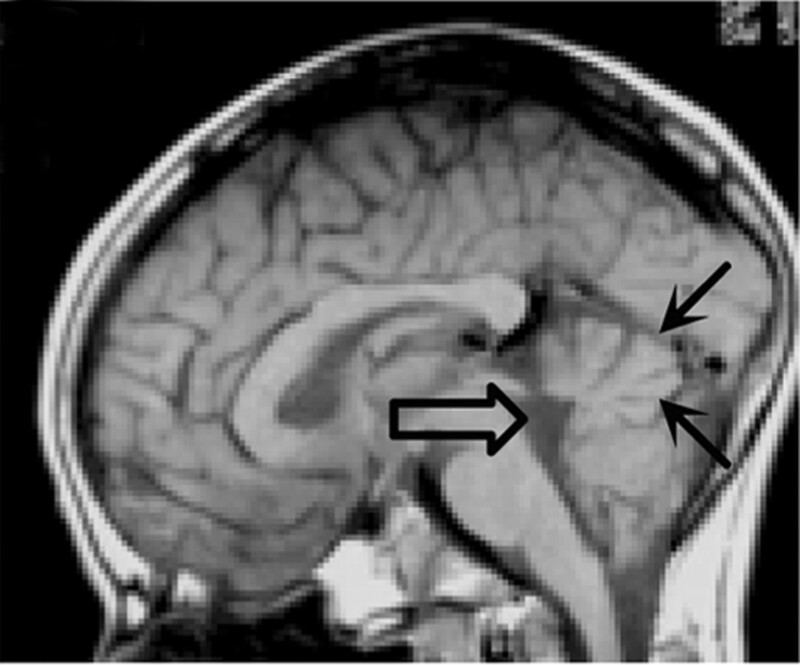 Joubert syndrome is an inherited neurologic disorder that is characterized by cerebellar vermis hypoplasia, which produces the molar tooth sign on brain imaging studies. Twenty-five percent of patients with Joubert syndrome also develop kidney abnormalities that are similar to those found in nephronophthisis. Tory and colleagues screened 28 families with nephronophthisis and neurologic symptoms for mutations in genes that cause nephronophthisis or Joubert syndrome. Mutations of two nephronophthisis genes, NPHP1 or NPHP6, were found in two thirds of patients. Several patients with two NPHP1 mutations also carried heterozygous mutations of NPHP6 or heterozygous mutations of the Joubert syndrome disease gene AHI1. Taken together, these studies identify a high rate of nephronophthisis gene mutations in individuals with Joubert syndrome and nephronophthisis. 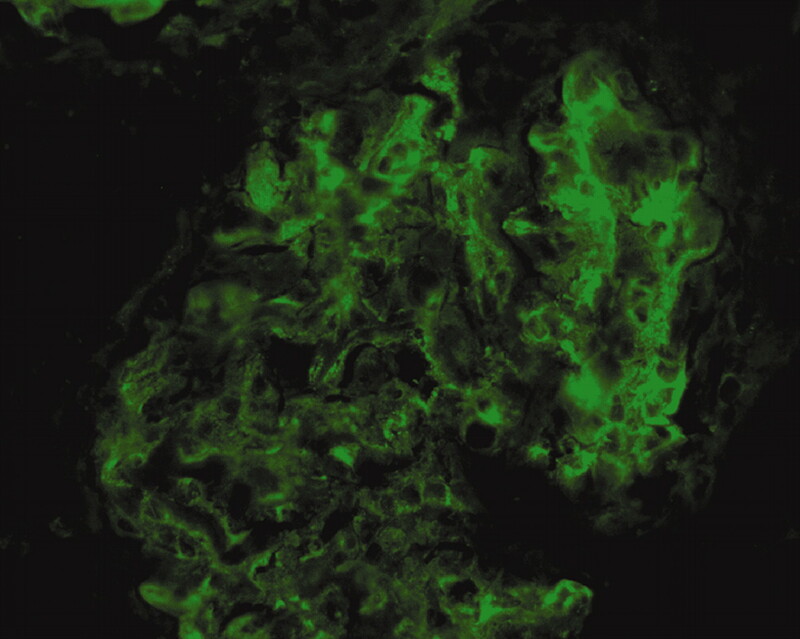 Epistatic interactions involving multiple NPHP and Joubert syndrome genes may explain why some patients with nephronophthisis present with neurologic symptoms, whereas others present with only kidney disease. See Tory et al., pages 1566–1575. Using the Dialysis Unit as an Exercise Club—It Seems to Work! Skeletal muscle wasting (sarcopenia) is a common, insidious, and debilitating complication that afflicts hemodialysis patients. Although low levels of physical activity have been demonstrated to contribute to muscle atrophy, it is less clear whether muscle quality and quantity can be improved through increased muscle use such as with exercise resistance training. In this issue of JASN, Cheema and colleagues performed a clinical trial in which 49 patients were randomized to receive high-intensity progressive resistance training or usual care only for a 12-wk period. Although there was no significant change in the primary outcome (thigh muscle cross-sectional area), there were significant improvements in important secondary end points (muscle strength, muscle attenuation, mid-thigh circumference, and C-reactive protein) in the progressive resistance training group. These data suggest that intensive resistance training during routine hemodialysis treatment sessions can improve muscle quality and possibly lead to other health-related improvements. See Cheema et al., pages 1594–1601. An Explanation for Racial Disparities in Kidney Transplant Outcomes. African-American race and prolonged time on dialysis are established risk factors for poor outcome after kidney transplantation, but the reasons remain obscure. Augustine and colleagues evaluated the strength of pretransplant cellular anti-donor immunity and correlated the findings with outcomes, race, and dialysis vintage. Strong anti-donor immunity pretransplantation was positively associated with a significantly longer time on dialysis and a higher rate of posttransplantation acute rejection. Median time on dialysis was three-fold higher in African-American recipients versus controls. Multivariate analysis revealed that time on dialysis was a positive correlate of anti-donor immunity independent of ethnicity. Overall, the data suggest that the risk of developing potent anti-donor T cell immunity increases with longer hemodialysis vintage regardless of ethnicity, which provides a possible explanation for the relationship between increased dialysis exposure and worse posttransplant outcomes. Longer time on dialysis may also explain the increased T cell alloreactivity and worse outcomes previously observed in African-American kidney recipients. See Augustine et al., pages 1602–1606.